Yet, even if one sympathises with social scientists’ arguments about the causes of the riots, it is hard to justify the conclusion that what is involved in this debate is simply a contrast between science and myth. What Michael Burawoy (2005) described as public sociology can take a variety of forms. At the most basic level, however, it involves social scientists participating in public debates about contemporary events and issues. And while there has been much debate about Burawoy’s proposals, such public participation is very widely regarded as beneficial, both for sociology and for society. This commitment relies, of course, on the assumption that there is sociological expertise available whose communication can improve public understanding and decision-making. But what expertise are social scientists able to display when engaging in public debates? Or, to put the point another way, do their contributions differ from those of other participants in ways that display expertise? 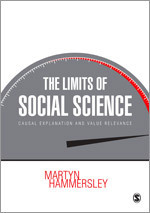 This article by Martyn Hammersley is drawn from material in his new book, The Limits of Social Science. The contributions of sociologists to public discussion of the riots that took place in some British cities in August 2011 provide a useful focus for exploring this issue (Hammersley 2014:ch6). 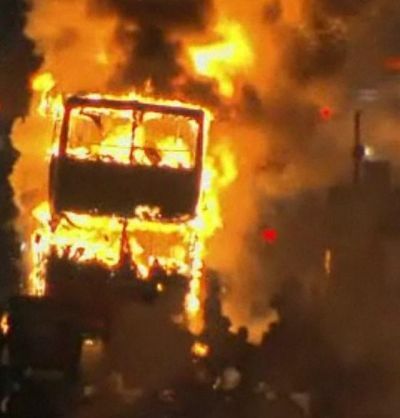 In looking at discussion of the riots we find, first of all, that there was variation among sociologists in the sorts of explanation they put forward in explaining the riots, as well as overlap with the explanations presented by some other commentators. At the same time there was a sharp difference between the explanations put forward by most social scientists and the accounts promoted by Conservative politicians, notably by the prime minister. Indeed, several sociological commentators explicitly challenged his views. The contrast here was between an emphasis on the role of social inequalities in causing the riots, on the one side, and a concern with the effects of a weakening of morality in certain sectors of society and on the role of gangs, on the other. One sociological commentator dismissed David Cameron’s account as ‘a moral smokescreen that obscures the real causes […] and feeds pernicious myths’ (Shildrick 2011), and this exemplifies the way in which most sociologists presented their views. What this seems to imply is a contrast between evidence-based social science explanation and ideology. Yet, even if one sympathises with social scientists’ arguments about the causes of the riots, it is hard to justify the conclusion that what is involved in this debate is simply a contrast between science and myth. For one thing, in recent times this contrast has been tempered, qualified or even completely abandoned by social scientists when they have discussed it directly, on the grounds that it assumes a defective positivist conception of science. Equally important, very few of the accounts from social scientists actually provided evidence about the riots, or drew explicitly on the sociological literature, this perhaps reflecting the constraints placed upon public contributions. Furthermore, it is important to recognize that Cameron’s explanation was not simply an individualistic or psychologistic one – in fact it corresponds quite closely to an influential sociological theory within the study of crime and deviance, what is often referred to as control theory. Drawing on the work of Émile Durkheim (1951:209), this argues that ‘delinquent acts result when an individual’s bond to society is weak or broken’ (Hirschi 2002:16). Burawoy, M. (2005) ‘For Public Sociology’, American Sociological Review, 70, 1, pp4-28. Durkheim, E. (1951) Suicide, London, Routledge. Hammersley, M. (2014) The Limits of Social Science: Causal explanation and value relevance, London, Sage. Hirschi, T. (2002) Causes of Delinquency, New Brunswick NJ, Transaction Books. Shildrick, T. (2011) ‘The riots: poverty cannot be ignored’, BSA blog: http://tinyurl.com/672delx/ Partially reprinted in BSA Network. Turner, S. and Factor, R. (1984) Max Weber and the Dispute over Reason and Value, London, Routledge and Kegan Paul. Given all this, it is hard to sustain the claim that what we have here is a contrast between sociological expertise and lay ignorance or ideology. But, more fundamentally, I want to raise questions about whether there can be a single true explanation of an event like the 2011 riots. It is important to remember the pragmatic character of explanations: the fact that they are always developed from particular perspectives and for particular audiences (Hammersley 2014:ch2). As Max Weber pointed out, in order to produce an explanation we must select causal factors according to their value relevance as well as in terms of the likelihood that they played an important role in bringing about the outcome (see Turner and Factor 1984). To the extent that this is true, different explanations are likely to be put forward by those operating with different value relevance frameworks. Moreover, these explanations could all be true: they are not necessarily incompatible. For instance, the riots could have been caused by social inequalities as well as by a weakening of morale among those at the bottom of social hierarchies. Which of these factors we give most emphasis to will depend, in part, upon the value framework within which we are working. This implies the need to make the framework relied upon explicit. Yet, sociological commentators on the riots were no more likely to do this than were others. On the basis of this analysis, it is difficult to conclude that the public contributions of social scientists about the 2011 riots displayed distinctive and authoritative expertise. A couple of questions follow from this: Is the problem that such expertise was not available, perhaps because of intrinsic difficulties associated with sociological explanation of events of this kind? Or is the problem that sociological expertise cannot be presented intact in contributions to public debates, in the way that the notion of public sociology assumes? This entry was posted in Public Engagement and tagged Public Sociology. Bookmark the permalink. Trackbacks are closed, but you can post a comment.